A star of stage and screen, E.G. Marshall made many radio appearances most memorably as the host of CBSRMT. "I Warn You Three Times"
One of the publicity department's missions was to help the public to get to know the Stars. A good way to market a film was for theater-goers to feel like they knew and liked the people that they were going to see on the screen. Just like buying tickets to see your neighbors in a community theater production, it is fun to see people you think of as friends on the screen. As helpful as this is for selling movie tickets, it can make life difficult for the actors. It means that they are forced to give up a good deal of privacy. Of course, there is also the tactic of cultivating an air of mystery. This is usually harder for the publicity department to deal with, but it can have some interesting benefits. No one ever really knew E.G. Marshall's first name. It was the name he adopted professionally, he was born Everett Eugene Grunz in Owatonna, Minnesota, 1914. There is no record of exactly when or why he adopted the name E.G. Marshall. He was enrolled in St. Paul's Mechanical Arts High School in 1932 as Everett E. Grunz (he apparently did not graduate), but according to government records, the name on his Social Security Card was "E.G. Marshall". Friends and people who worked with him called him "Eej", and when pressed he would tell people that the initials stood for "Everybody's Guess". Marshall began acting in 1933. Along with Marlon Brando, Julie Harris, Montgomery Clift, and 46 others, he was selected to be among the first group of actors admitted to the Actor's Studio in 1948, having already established himself on the New York stage. In later years, he had successful leading roles in The Crucible and Waiting for Godot. 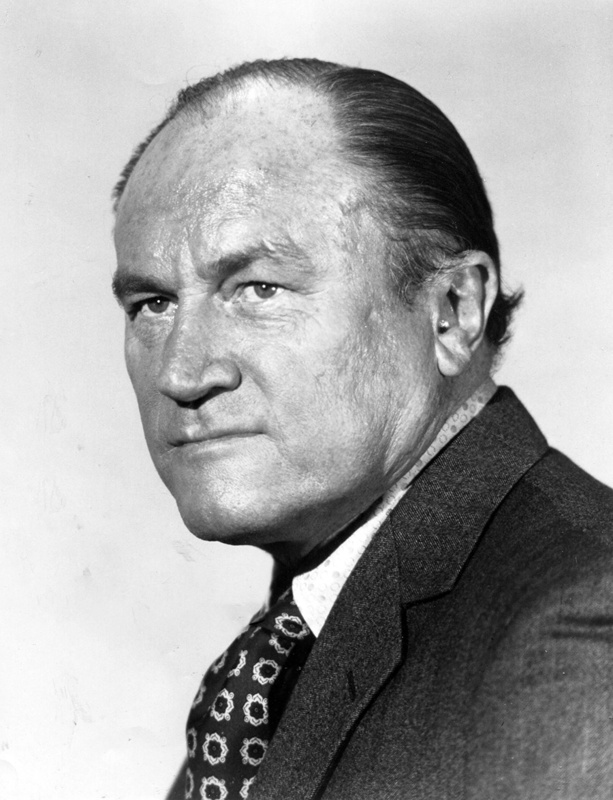 With his trustworthy face and authoritarian voice, Marshall was usually typecast as what he called "establishment daddies". 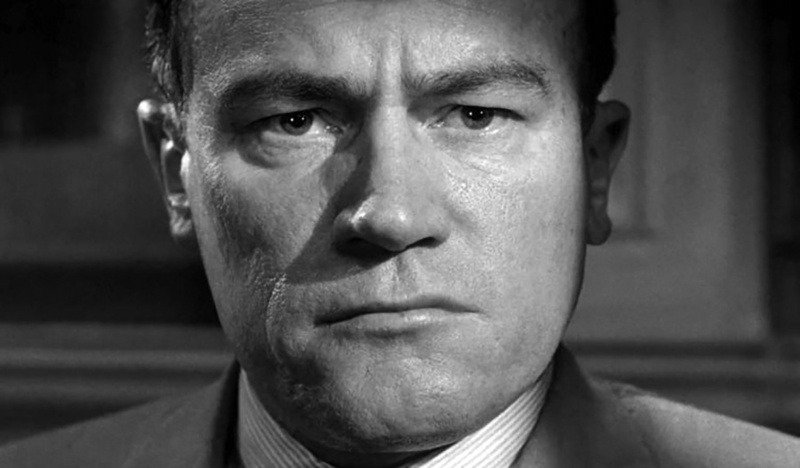 He is most often remembered as "Juror Number 4" in Twelve Angry Men (1957). The courtroom atmosphere would be a familiar one as he played the senior partner in a father and son law firm on The Defenders (1961-1965). The same qualities made him a trusted physician on The New Doctors (1969), but it was not enough to keep his humorous nature completely in check. He was a notorious prankster on the set, and would often tell dirty jokes while the camera was rolling during a scene over the operating table, no one could see his lips moving through the surgical mask. E.G. Marshall played several different US Presidents, including George Washington on Walter Cronkite's TV version of You are There (1955), Grover Cleveland on The Hallmark Hall of Fame (1951), Harry Truman in Collision Course: Truman vs MacArthur (1976), and Eisenhower in Ike (1986) and War and Remembrance (1988). Fans of radio drama will always associate E.G. Marshall's distinctive voice with CBS Radio Mystery Theatre, an effort to revitalize radio theater during the heyday of network television. CBSRMT premiered in 1974, and followed a similar format to classic radio horror programs like The Mysterious Traveler and The Whistler, but the show owed the greatest debt to The Inner Sanctum Mysteries, which was also created by prolific producer Himan Brown. One of the elements that Brown brought from Inner Sanctum was a creepy creaking door which was heard during the intro, but he departed from the earlier horror-host gimmick. Inner Sanctum's Raymond played the role by taking a psychotic delight in the macabre elements like murder and dismemberment. As host of CBSRMT, Marshall played the announcing duties "straight", which was actually creepier than Raymond's mockery. Marshall's one concession to the horror was his chilling closing line: "Pleasant dreams, hmm?" E.G. Marshall died of lung cancer in Bedford, New York, on August 24, 1998. He was 84. Brings back a lot of memories when I was a teenager, secretly listening to my transistor radio late at night... rarely missed an episode!